1. The Initial Capabilities Document (ICD) is the most common starting point for new capability requirements. Once validated, the ICD typically leads to an Analysis of Alternatives (AoA) and then the Capability Development Document (CDD) and Capability Production Document (CPD) for development of a materiel capability solution. An ICD may lead directly to a CPD if capability requirements and associated capability gaps can be satisfied through Commercial Off-the-Shelf (COTS), Government Off-the-Shelf (GOTS), or Non-Developmental Items (NDI), with no significant development or integration efforts. In certain cases, a CDD or CPD may be generated without an associated ICD. This is typically done when there has already been a successful Joint Capability Technology Demonstration (JCTD) of the capability solution in an operational environment for a Joint Urgent Operational Need (JUON). 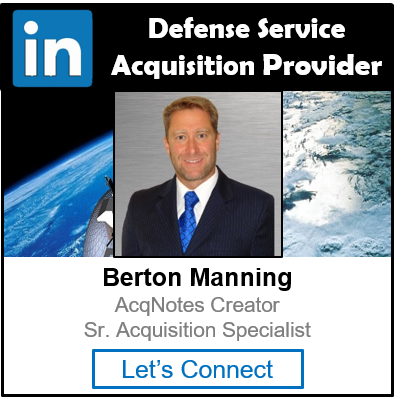 A Joint DCR may be generated from a validated ICD as a nonmaterial solution to a previously validated capability requirement and associated capability gap or as a complement to a materiel capability solution which will be developed through the acquisition process. One ICD may lead to the creation of multiple CDDs and/or Joint DCRs. Each document contributes to satisfying only portions of a capability requirements identified in the ICD. Two or more ICDs may lead to the creation of a single CDD where the capability solution to be developed satisfies more than one capability requirement. An ICD may lead to the creation of multiple CDDs for a System of Systems (SoS) or Family of Systems (FoS) approach. A single CDD may address a SoS, where a set of systems are integrated to deliver a unique capability solution. Separate CDDs are required for each system in a FoS where similar capabilities are provided through different approaches to achieve similar or complementary effects. A CDD may lead to the creation of one or more CPDs which is typical for incremental development efforts. Following the fielding of solutions to UONs, the requirement Sponsor completes an assessment of operational utility to provide essential feedback for continuing rapid acquisition efforts and/or to identify the need for long term sustainment.